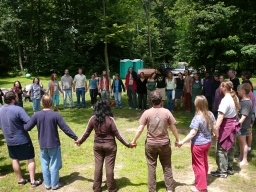 Just 2.5 hours west of Washington DC or 2.5 hours southeast of Pittsburgh at a West Virginia mountain retreat center. 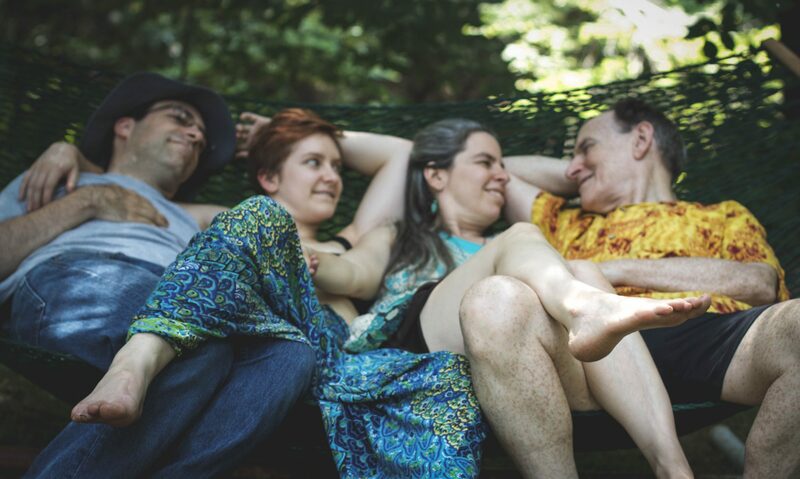 This year’s theme is “Creating Extended Family.” Bring your kids, your chosen family, and your whole polycule as we explore what it takes to build and sustain an intimate poly network! Endless Poly Summer isn’t quite like anything else. What is tribe? Tribe is your community, the people who accept you as you are. It is the people you can learn from, grow with, play with, and share life with. 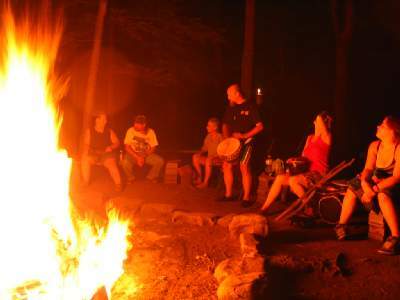 Spend up to 6 days in a rustic woods-and-water setting, hang out around a bonfire, enjoy a song circle, cuddle up at a snuggle party, learn skills to make your relationships richer and more satisfying, and build connections with others that last all year long! At Endless Poly Summer, we live, work, learn and play together for up to 6 days or more. 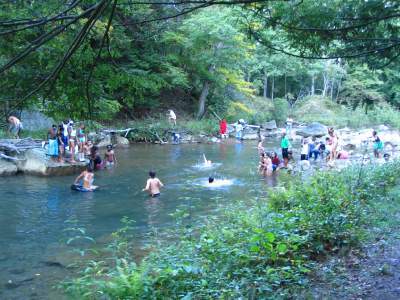 Camp takes place at a private shady campground with a wild, whitewater stream alongside, about 2.5 hours west of the Washington DC area and 2.5 hours southeast of Pittsburgh. 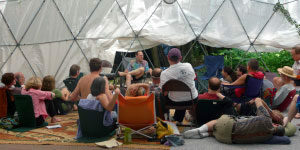 Campsites are included in the registration fee, and indoor accommodations are available at additional cost. What is Unique About Endless Poly Summer? Not just another superficial meet-and-greet, Endless Poly Summer is 6 days long so that there is time for real connections to be made, and real interactions to flow from these connections. Campers help each other to work through issues that may arise, using new tools and techniques where appropriate, with the guidance of our experienced support team. Most of these are created and facilitated by campers. We have morning whole group check-ins, afternoon community circles, and one on one support whenever you need it. And of course, everything is optional– you are fully “at choice” about your attendance and/or participation in any activity or workshop. The all-inclusive price covers all workshops, events, campsite, and ALL MEALS shown on the schedule. Every all-natural meal will have vegetarian, vegan, gluten-free, and non-dairy options, and we can accommodate most other special dietary needs as well. Campsite fees are included. Indoor accommodations are available from $75 per person for the entire event.